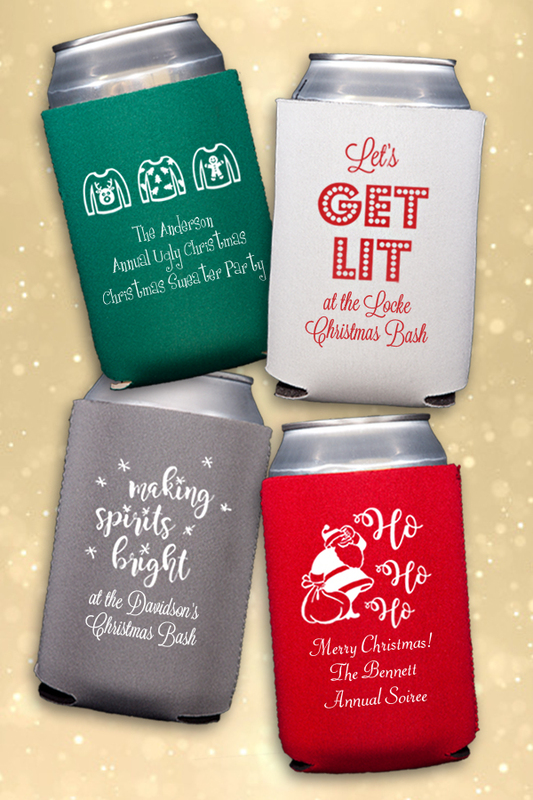 One of our most popular party favors, custom printed neoprene beer can koozies are the perfect take-home gift for guests. Personalized with a festive Christmas design and your own custom message printed in your choice of color and lettering. 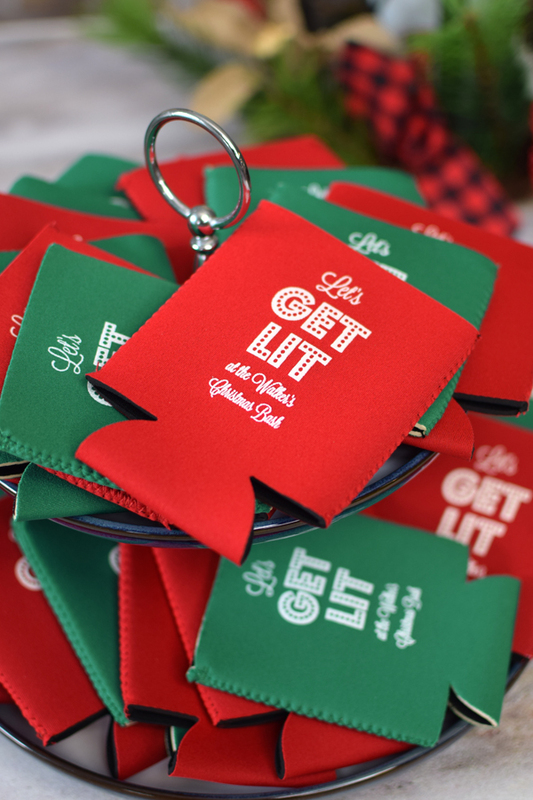 To order two different koozie colors, simply enter your request in the special instructions box below (We require a minimum of 25 koozies per color request). Thank you for an awesome Koozie for our Christmas Eve party! I love they way they look and am excited to give to our guests. These were a huge hit at our family Christmas! Great quality and customer service. Quick processing and delivery! Very highly recommend! Thank you Tippy Toad!